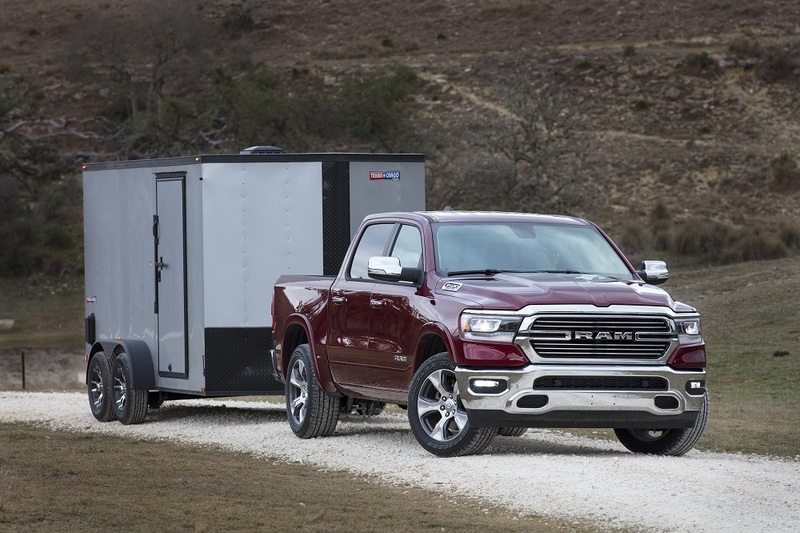 TFLtruck (Fast Lane Truck) recently announced the 2019 Ram 1500 pickup is the best performing truck when towing a trailer under demanding conditions. 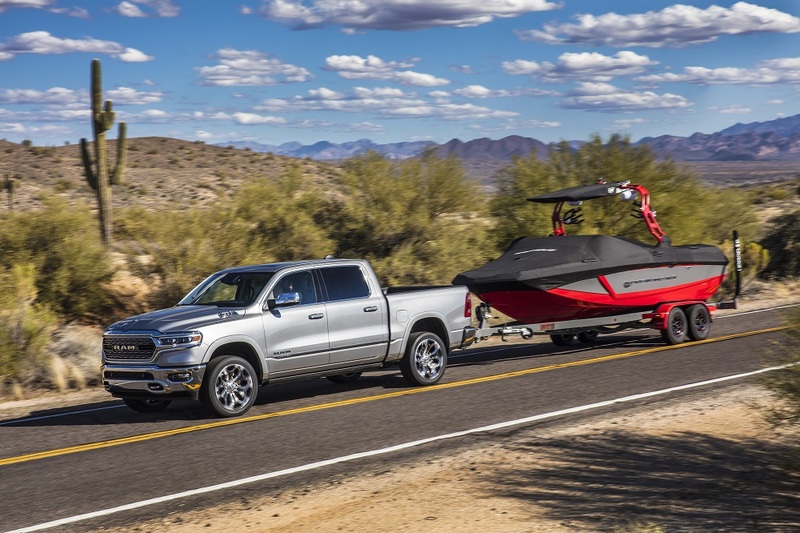 The 5.7-liter HEMI powered Ram 1500 with eTorque mild hybrid technology bested competitors for outstanding pulling power, braking, fuel economy, comfort and handling under extreme towing conditions. In making the announcement, Andre Smirnov, TFLtruck’s Managing Editor said, “The 2019 Ram 1500 and its 5.7L HEMI V8 eTorque system came out on top when compared to the Ford F-150 and the GMC Sierra 1500 on TFLtruck’s “Ike Gauntlet”. “All trucks towed a 9,100-pound trailer. 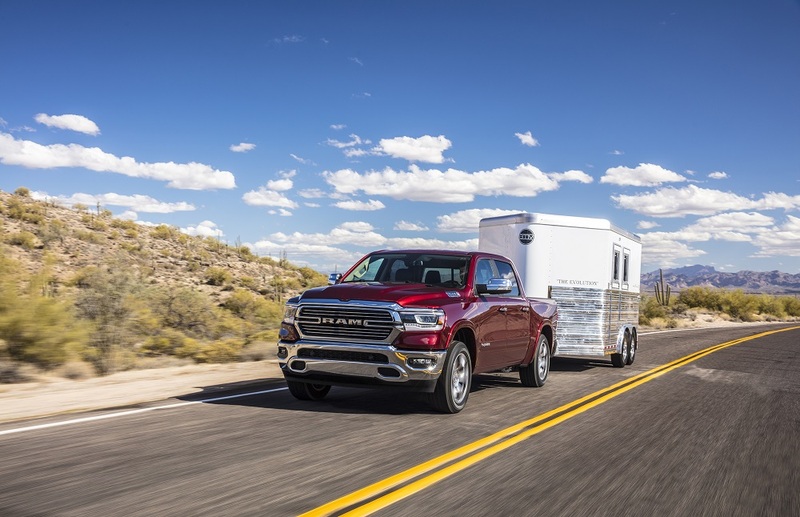 While the data TFLtruck collected during the real-world testing demonstrated how close the competition really was, the new Ram 1500 stood out with its available air suspension and technology features that made hooking up a trailer easier and the trailering experience more relaxed.” Added Smirnov. The benchmark for all towing scores is based on the grueling Eisenhower Pass “Ike Gauntlet” – considered to be “The World’s Toughest Towing Test”. The test loop consists of an 8-mile stretch of the I-70 between Dillon, CO (9,111 feet above sea level) and the Eisenhower/Johnson tunnels (Continental Divide at 11,158 feet above sea level). The highway grade reaches 7%, the maximum allowed on a US Interstate. 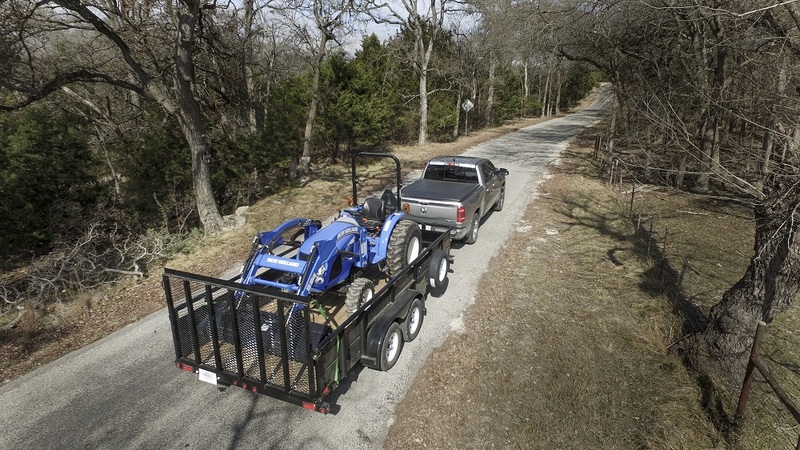 The trucks are loaded with trailers near their maximum towing capacity. The transmissions and braking systems are tasked with handling the heavy load on the way down. The cooling system, engine, and transmission are pushed near their limits on the way up. 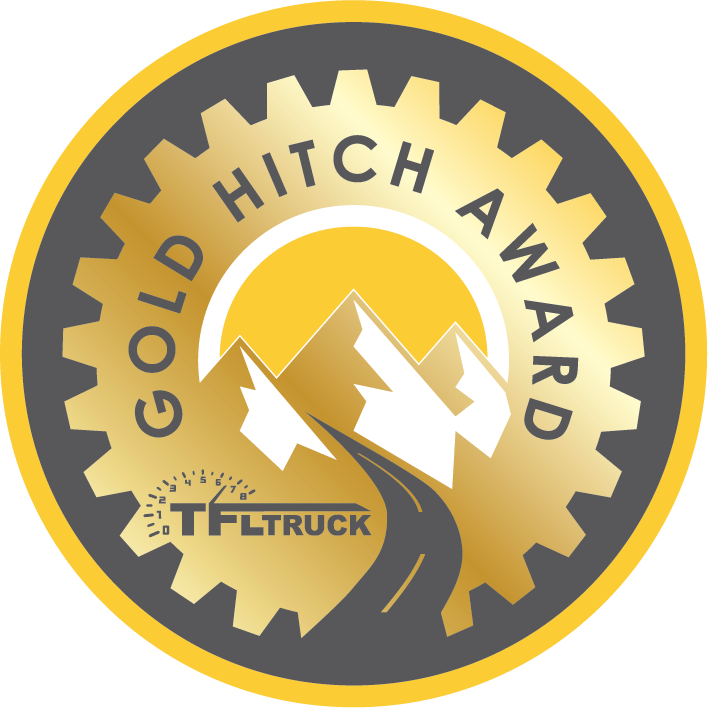 The TFLtruck team uses the Ike Gauntlet scoring system, efficiency results for the TFLtruck 100-mile highway mpg loop and votes from drivers to determine the Golden Hitch winner. Gold Hitch Award-eligible trucks include 2019 model-year pickups (or trucks from previous model years that have not significantly changed for 2019). Trucks are only eligible for the award if they were tested before March 1, 2019. The 2019 contenders were the 2019 Ford F-150, 2019 GMC Sierra 1500 and the 2019 Ram 1500. The GMC and the Ram trucks are all-new for 2019. The Ford F-150, a previous Gold Hitch winner, was used as the benchmark. 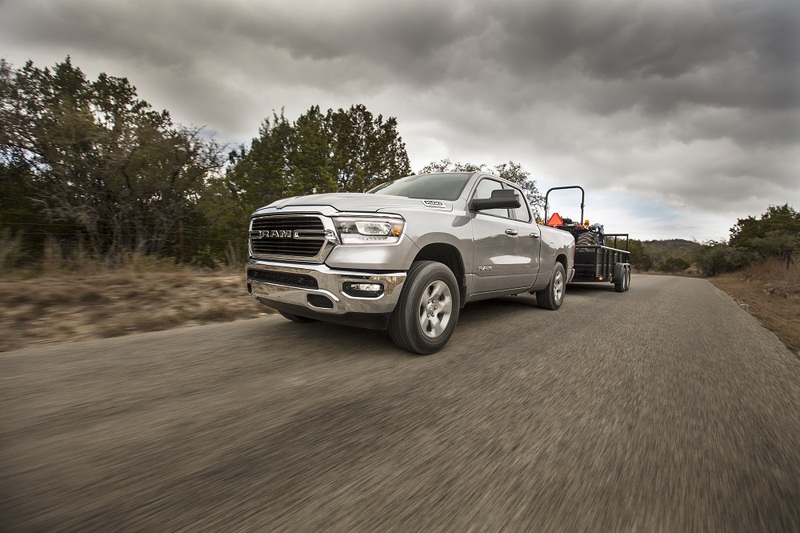 The Nissan Titan and Toyota Tundra trucks do not have significant towing equipment upgrades for 2019. TFLtruck is the most popular online video reviews, news and views publication. Nearly 2.5 million truck buyers watch TFLtruck video reviews and tests every month. This includes the signature “TFL Ike Gauntlet” extreme towing test, which challenges trucks to the absolute maximum of their performance capability. Simply put — TFLtruck is All Trucks All The Time.